Home / Blog / Shipping Blog / eCommerce Shipping Trends / Selling on Amazon: Is Amazon Easy Ship Right For Your Business? Selling on Amazon: Is Amazon Easy Ship Right For Your Business? Amazon India is the leading eCommerce marketplace our country has right now. With over 310 million active customers, Amazon is growing at a swift rate. With such a broad user base, it is true that there are also millions of sellers who are growing this marketplace each day. But what runs the show for Amazon? How are almost 1.6 million orders processed with such ease each day? Is it their fulfillment model? Let us find out. Amazon offers three plans in its fulfillment model – Fulfilled by Amazon(FBA), Amazon easy ship and Amazon Self ship. These come with their advantages and disadvantages. But for sellers who are just starting, investing in Amazon FBA can be slightly overwhelming. Amazon’s self-ship is the cheapest option available, but again, it involves a lot of independent work. The middle way that needs to be understood – Amazon easy ship. Amazon’s Easy Ship is a fulfillment model offered by Amazon, wherein you can sell and ship with Amazon. A typical order fulfillment process involves steps like packing, labeling, storing, warehousing and finally shipping. With Amazon Easy Ship, you receive orders from Amazon.in. You store, package and label them yourself and Amazon ships your product through the Amazon logistics network. To begin using Amazon Easy Ship, you need to register as a seller on the Amazon Seller Network. Post registering you are automatically signed up for Easy Ship. You can avail Easy Ship services from your first order itself. But deciding if it is the right call for your business can be tricky. Weighing the pros and cons of the service can be an excellent way to figure that out. With Amazon Easy Ship you can quickly ship within the comforts of your home or office. With simple pick up and delivery by Amazon, you can skip the hassle of negotiating with courier partners and work other matters. Amazon shipping offers you a great convenience of picking up the shipment from your pick up address. You don’t need to send your products anywhere, and you can quickly ship out double the amount of orders if the pick up is done from your location. 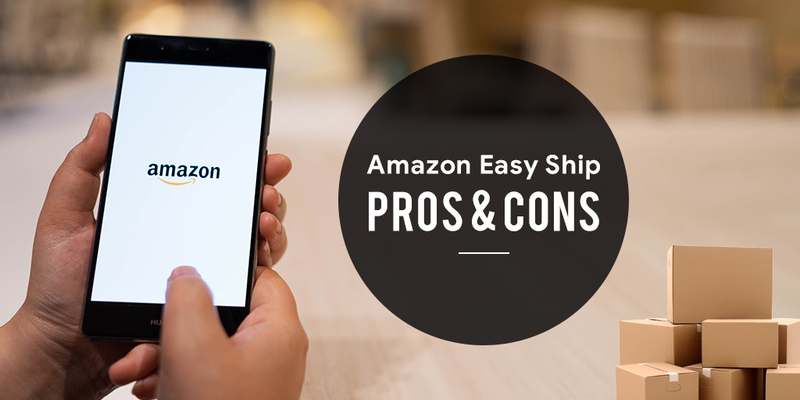 With Easy Ship, since you Amazon logistics does not take care of packing and warehousing, you can decide the kind of packaging you want to adopt. Maybe for some packages you want to go for branded packaging while for some you only prefer sturdy but straightforward boxes. Also, you can pack economically to save on shipping. Thus, with Easy Ship you have this freedom of choice. 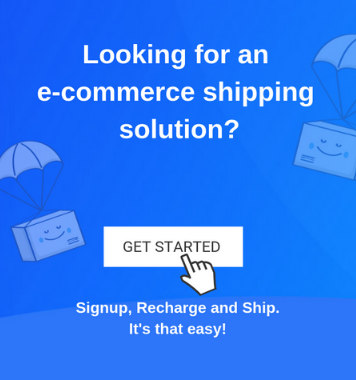 With Easy Ship, you have the opportunity to ship across India. Amazon India shipping is done to over four regions which run through pan India and cover maximum pin codes. Amazon levies massive fees for its easy ship partners. Their pricing plan states that for every package, they collect three different fees; referral fees, closing fees, and shipping fees which start at Rs. 30 per shipment. Other than this, their shipping fees/weight handling fees vary according to the region. Even though their service may be useful, there are many cheaper options like Shiprocket, which offer the same services at a less expensive rate. When you ship with Amazon, you don’t get to decide which courier partner you ship with. Maybe, in some regions, FedEx performs better than Delhivery and vice-versa. 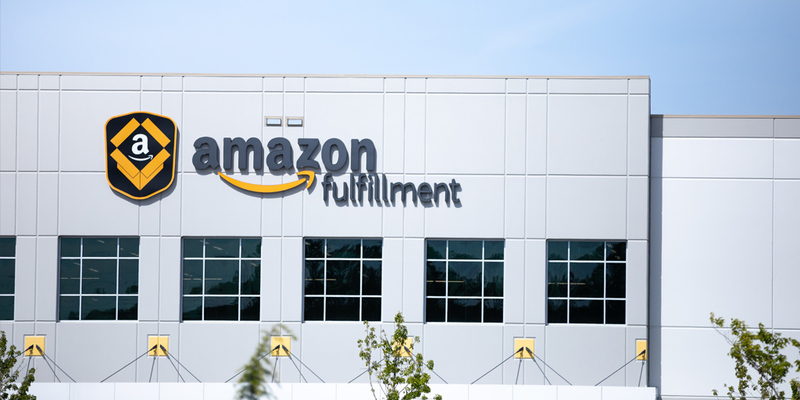 But with Easy Ship, your shipments rely on Amazon’s logistics Network, which may/may not perform well in every location. Using shipping software, you can also choose how you ship your products. When you manage an eCommerce store, inventory management and warehousing take up a lot of your time and energy. Thus, if you have to coordinate with a separate entity for your shipping and delivery, it can confuse you. It is ideal if you can manage your orders and also ship them from one place. When your orders are delivered, Amazon only sends your money to you(after deducting fees) after a week. This affects your income-cycle and furthermore, affects stock management. Thus, you can look for options that provide a faster remittance. Amazon easy ship gives it’s seller a pay on delivery option which from which they cannot opt out. For small sellers, this can pose as a problem as with COD; you also have a high chance of order cancellation/return orders. If your return orders increase, it can lead to an increase in inventory costs as your shipments are then stuck. Thus, if Amazon offered the choice of choosing between COD and Prepaid options, you could have conducted a more researched sale. Lastly, your shipments aren’t insured with Amazon easy ship which poses as a significant drawback. Even after all the fees charged, they do not provide cover for lost shipments. Therefore, make a choice based on your research and understanding of each side of the coin! Your awareness and understanding can decide the fate of your shipments.